How long have you worked at Loxleys and what did you do before? : I've worked here about two-and-a-half years. Before that I was working in Brazil because my wife is Brazilian and I was working before the Olympic Games with my father-in-law. My children are learning English and I think England is a nice country to live and work and it's good for them to be here. 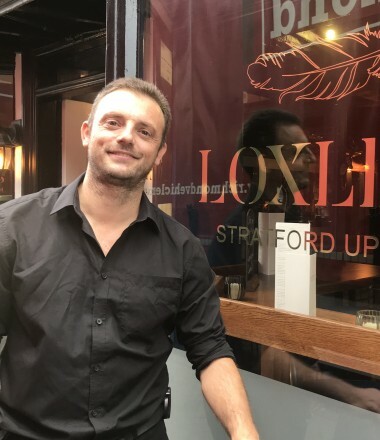 Why Loxleys: Because it's a family business and it's independent. You're not a number, they look after you and that's nice. What's your biggest career influence:I'm actually an archaeologist so I have changed what I do. When you're 17 or 18 and you have to decide what to do for the rest of your life, I think you’re too young. That's why I did archaeology, but I like to do different things so now I am doing this. What's your favourite part of the job? :I like helping our customers and making sure that they're happy. Describe your perfect day: My perfect day starts with a full English breakfast and the sun shining and as long as it has those I don't mind about the rest. Favourite Holiday Destination: Definitely not Spain. I like South America, but just for holidays. You may be Interested to know : When I was about 15 or 16 I did a bungee jump - that was followed by my first glass of wine!